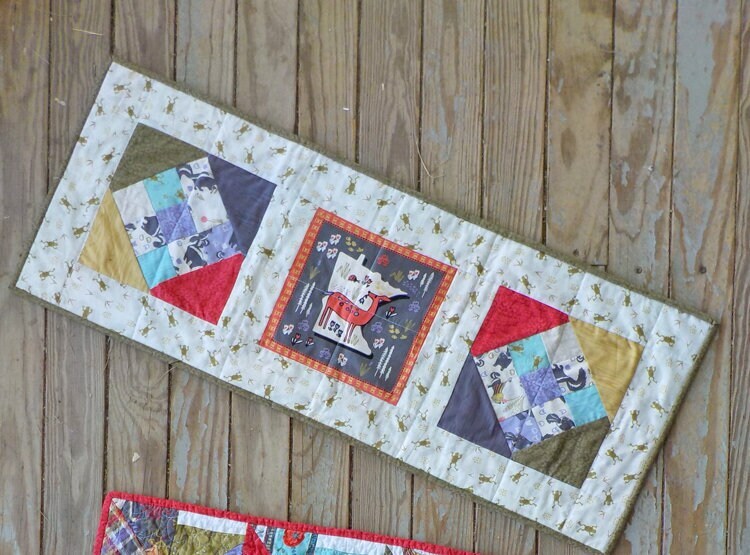 Frog Pond table runner kit featuring Quilt Minnesota 2018.....fabric designed by Teresa Magnuson for Clothworks. This delightful little runner is the perfect addition to any table. Jazz it up with a bouquet of greenery, a bowl of polished lake stones, or a plate of pincushions. Table Runner measures 13 x 34 inches. This listing is for the Frog Pond kit. The fabrics are exclusive to quilt minnesota 2018 participating shops and limited.